When we consider an action, we often don't ask ourselves one important question beforehand, "Does this serve me?" Instead, most of our actions are done instinctively. Without ever really thinking about it. Some times this works out fine for us, but not always. There are times when, because we didn't ask ourselves this question, we find that we are jumping out of a frying pan and into a fire. There are other times, though, in which we think it worked out well for us, but because we didn't consider all the options, we might not have picked the option that served us best. This hinders us and our careers. Let me give you an example from my business partner, Mitchell. He told me about a time when he was young and still pretty early in his sales career. At one of the companies he worked for, he was doing absolutely fantastic. He always exceeded his sales goals. The boss was really happy with him and he was even promoted to Area Sales Supervisor. After a few years, his District General Manager was promoted to Regional Manager. This left a vacancy for District Sales Manager. Mitchell, being the ambitious go-getter he was, wanted it and talked to his boss, who'd just been promoted and would be hiring his replacement, about it. You know what Mitchell was told? He was informed that "You wouldn't know what to do with all that additional income. You're not ready for it yet." Wow. Here he'd been doing so well and he was denied a promotion because his boss didn't think he could handle the extra money. How would you feel about feedback like that? Probably the same way he did. Within two weeks he quit - without notice. It was a gut reaction to the rejection. He didn't ask himself if this action would serve him well. In fact, he quit without a job to go to next and burned a bridge on top of it. He was lucky that he got something else in just a couple weeks with a competing company. Here's the ironic part. Mitchell had learned from his old co-workers, that their boss hired someone else and that person was no longer with the company in less than six months. Had Mitchell asked himself if his move would serve him well, he might have discovered that, no, it probably wouldn't. He'd have been able to build up his skills so he would be ready the next time. Fortunately, very few decisions will cripple your career or any other aspect of your life. You can make up lost ground. But why go through all the effort of regaining what you lose if you don't have to. All it requires is asking yourself, "Does this serve me?" before jumping into an action or reaction. Here are a few other examples that will help you in your career. 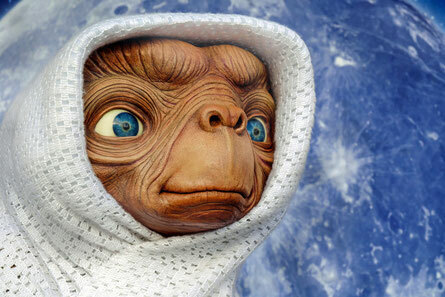 Even E.T., who could make bicycles fly through the air and could devise a communication device to his home planet using a Speak and Spell, needed Elliot's help to "phone home." Don't let your pride get in the way of asking for help. If you don't know how to do something at work, ask a co-worker or your supervisor for help. It's amazing how many people are glad to assist you so you can succeed. We have no problems hiring plumbers, electricians, carpenters, and mechanics for their expertise. But for some reason, we think we need to be do-it-yourselfers when it comes to our work and career. Ask yourself: Does this serve me? Friends should lift you up, not bring you down. They should have goals that align with yours. They shouldn't be jealous of your successes or relish in the times you're down. There should be emotional reciprocation so that you both feel better when you meet. It's hard to let go of friends whom we've known for a long time. However, if you have any friends where this is not happening, where they are negative, hateful, depressing, addicted, unproductive, or where the the friendship seems to be one-sided, consider whether this is a relationship worth continuing or not. While there are some habits that are easy to identify as not serving you, there are others that are not quite so obvious. For example, is the habit of staying up late watching TV or playing video games serve you well when you have to get up early the next morning for work? Probably not. 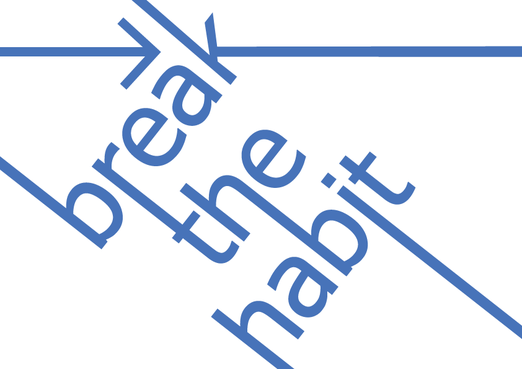 Yet ingrained habits are hard to break. About the only way to break one is to replace it with a better one that serves you. Exercise, eating healthier, reading, and anything else that helps you become a better person are good habits to create. Schedule them into your calendar and block them off from any interruptions. Even time-blocking is a good habit to form. For any habit make sure it's going to benefit you in some way. Inherently, we all come to see the world very differently and these differences take an outward shape in our attitude about life's circumstances. You see this at work all the time when something new gets implemented. Some people are eager about it, others are open but unsure, and the third group of people are outright hostile to it. This attitude carries over into how each person performs and how people you work with perceive you. Just as someone's bad attitude can turn you off from them, so too can your attitude repel others. 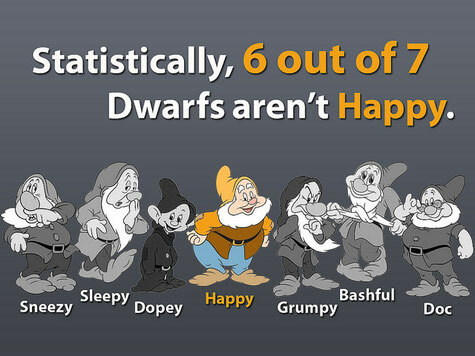 If this might be the case, consider turning your attitude around. Some of us (myself included) are not natural networkers...aka introverts. It's hard to get out there and meet new people. It can be draining. But this is an important part of growing your career. Did you know that 85% of all hires come through networking? So, whether you're looking for a new job or the next step in your career, avoiding opportunities to meet new people can hurt you a great deal. Introverts can network, too. If those large crowds at a job fair feel overwhelming, go to smaller networking groups and set up some one-on-one meetings. Start with people you know and try to expand. Avoiding networking altogether is not a very good solution. If you've been out of work for a while or in a job that you really don't like, getting offered a job feels so great that a lot of people accept it right away. It's understandable, but you have to consider a few things first. Always thank the person for the offer and then ask for a couple days to consider it. You want to make sure your maximizing your earning potential, so if the salary is below your minimum requirements, is taking the job really going to benefit you? Likewise, make sure the job is something that you really want to do. I've seen a lot of people jump into a role, only to learn a few weeks later, that it's a terrible job for them. Who is this helping? 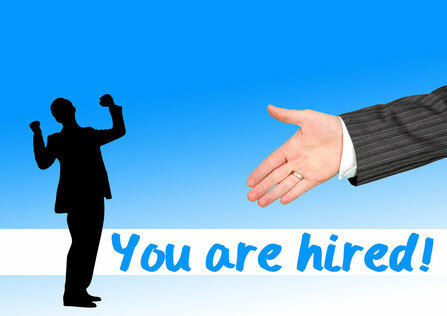 Finally, what are the long-term prospects for you with the employer? So, before you take that offer, make sure everything is going to work for you. While you are asking, "Does this serve me," someone else is asking if you are serving them well. Your pride, friends, habits, attitudes, and fears can all get in the way of your capacity to serve others, which is what we all are aiming to do. As Leo Tolstoy once stated, "The sole meaning of life is to serve humanity." So, get out there and serve humanity!